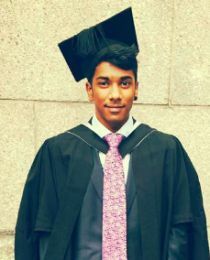 Shanka Fernando is an MPhil/PhD student at the Department of Economics at UCL. He received his BSc and MSc, both in economics and both from UCL, in 2014 and 2015 respectively. In the past, he has also been a research assistant at CReAM, assisting Professor Dustmann on various projects. His main research interests are in the economics of migration and labour, as well as applied economics. Shanka joined CReAM in September 2016.